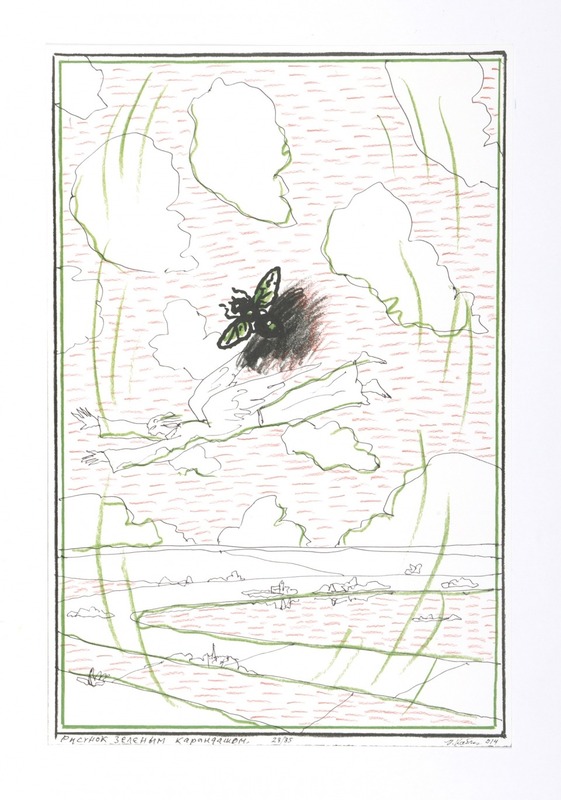 The limited edition book is composed of 35 copies, numbered from 1 to 35, and of 15 artist’s proofs. 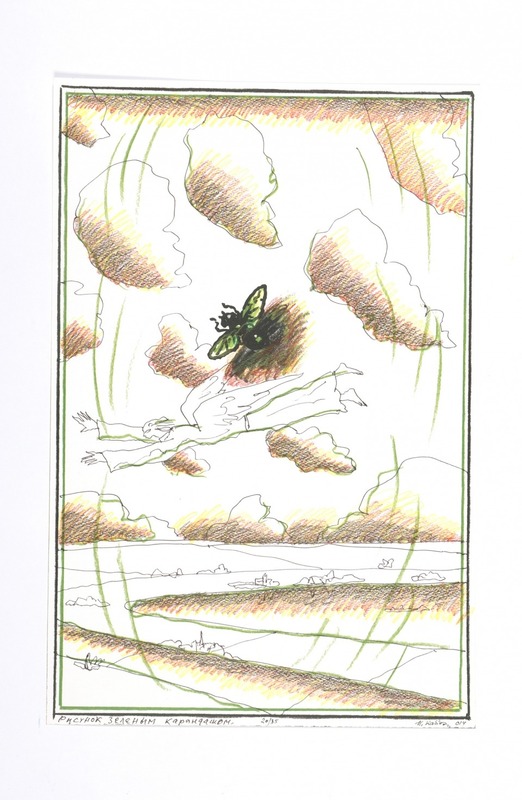 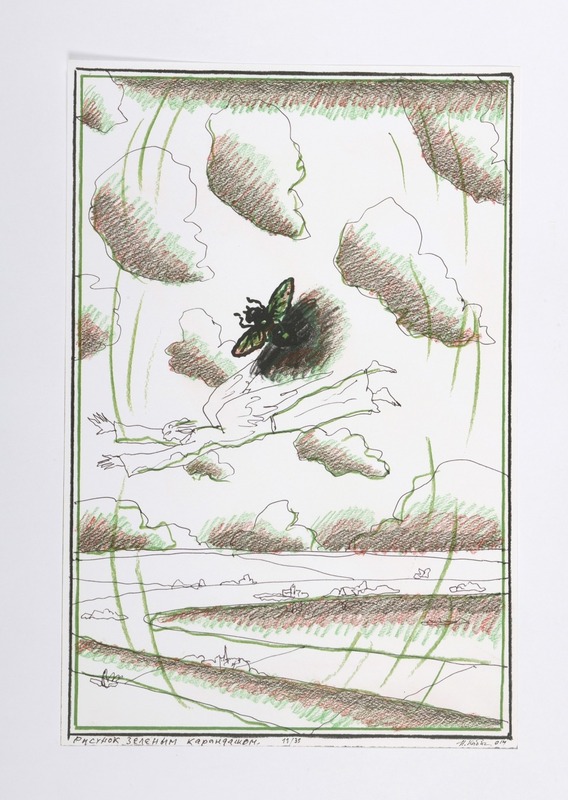 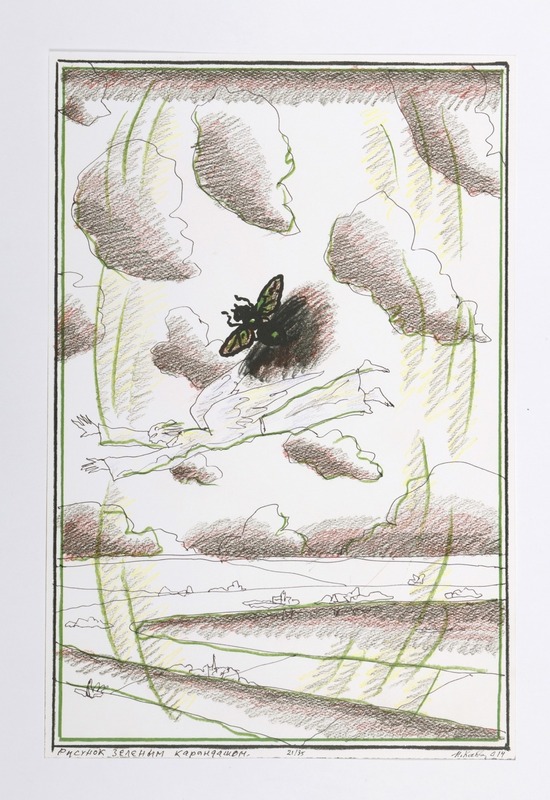 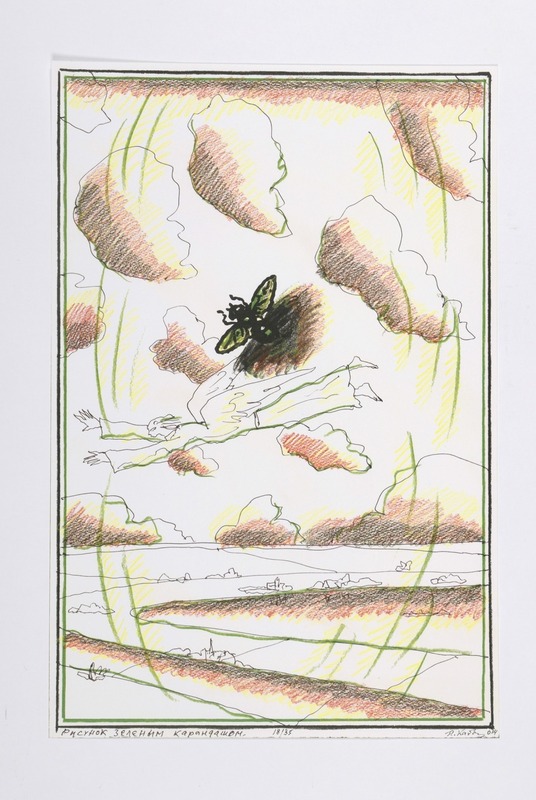 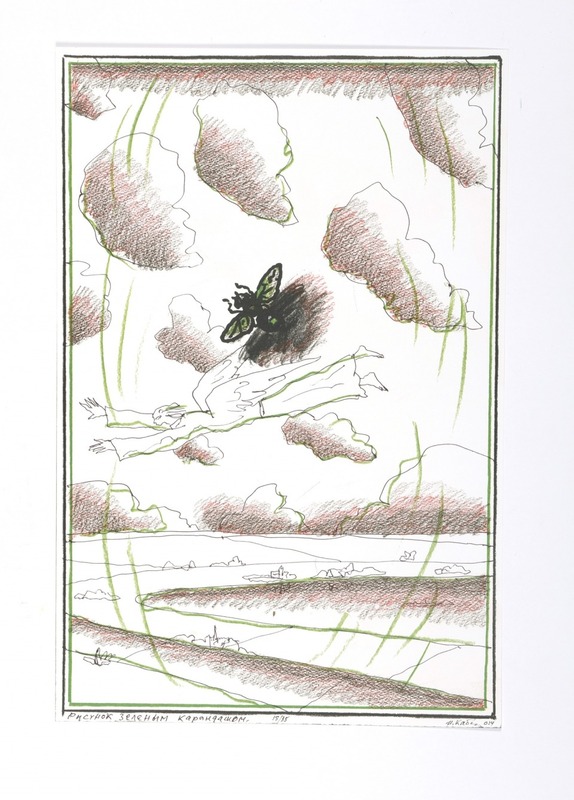 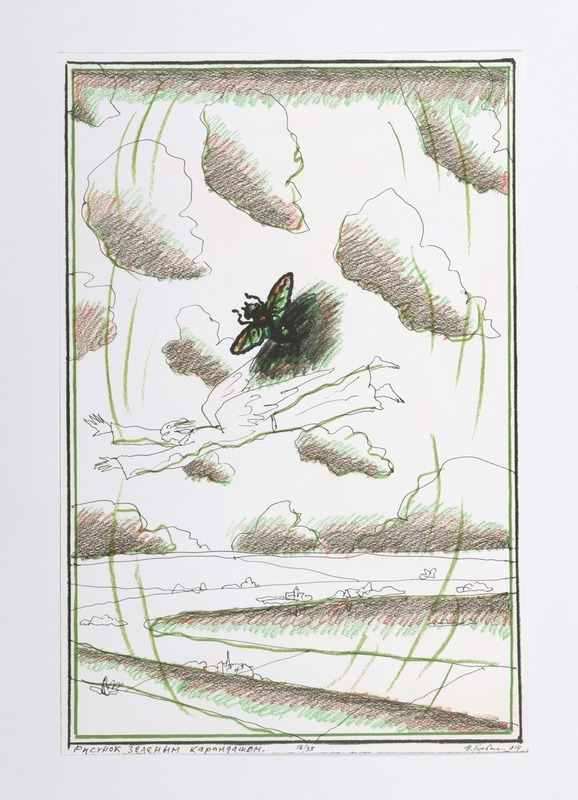 On this occasion, an original drawing, specially chosen by the artist and gathering several of the favorite motifs of Ilya Kabakov (the flight, the angel, the fly, the landscape, the clouds…), has been reproduced by Atelier Hiver, Paris. 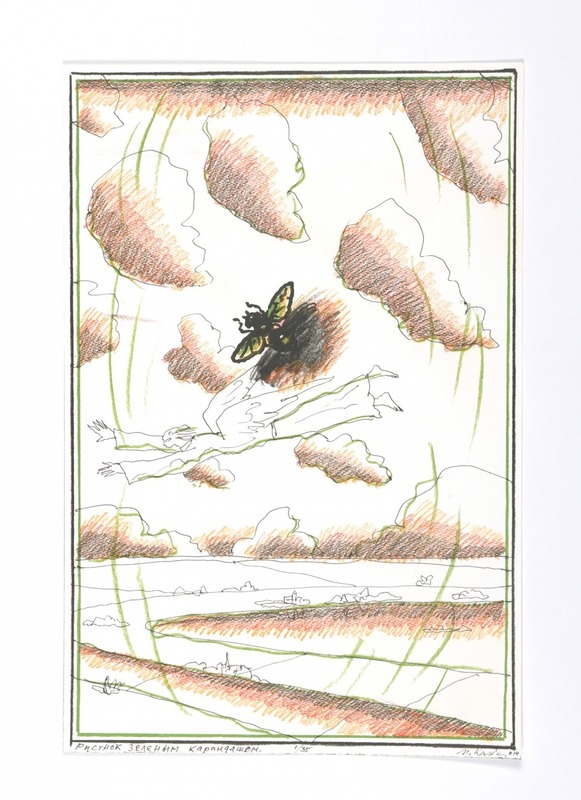 Each drawing has been individually hand-colored and signed by the artist. 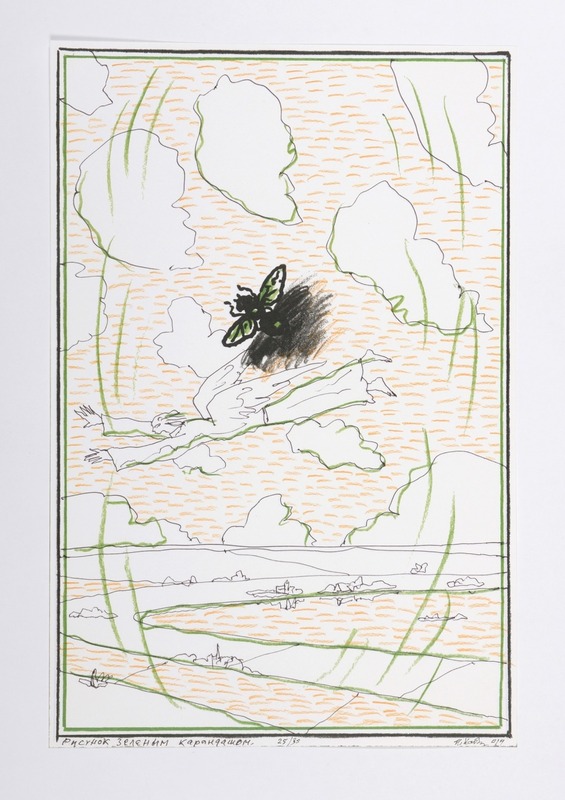 Each edition is packed in a carboard box containing a copy of the book Ilya Kabakov. 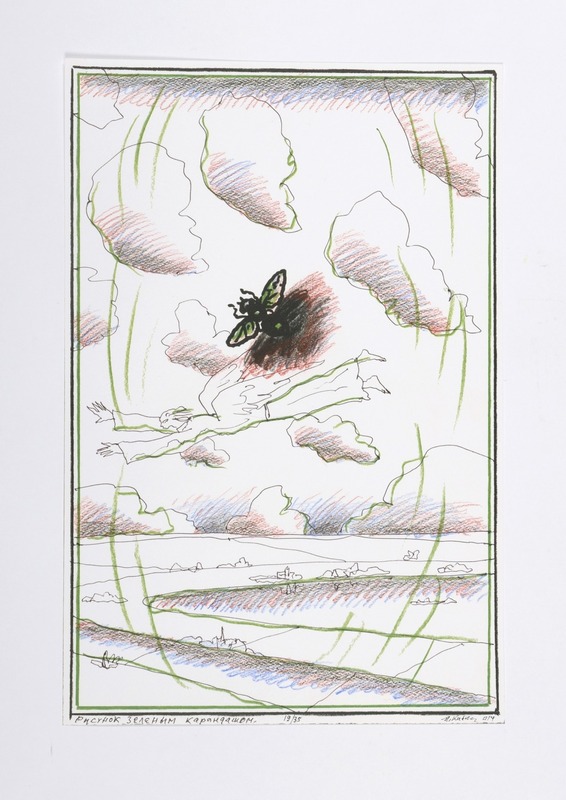 Drawings/Dessins, numbered and signed by the artist. 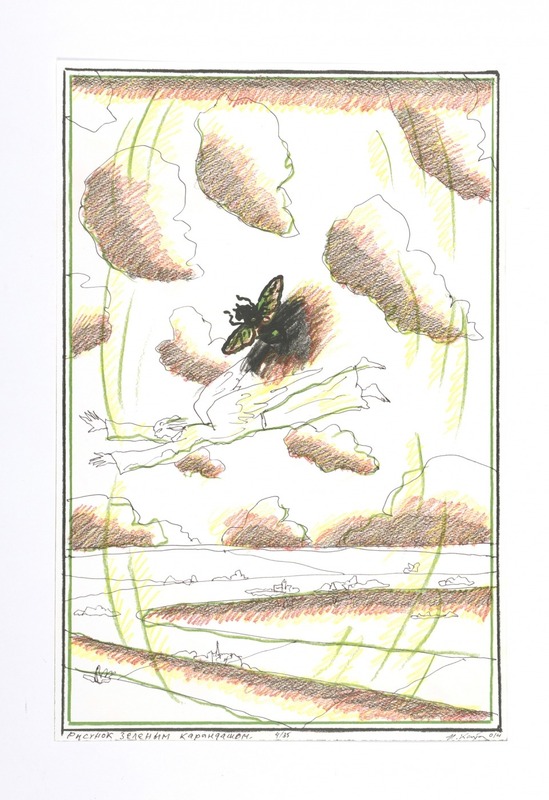 Colour pencils and offset print on Fedrigoni Tintoretto Gesso 200 g.
Translation of the text beneeth the drawing : "Drawing done with green pencil"